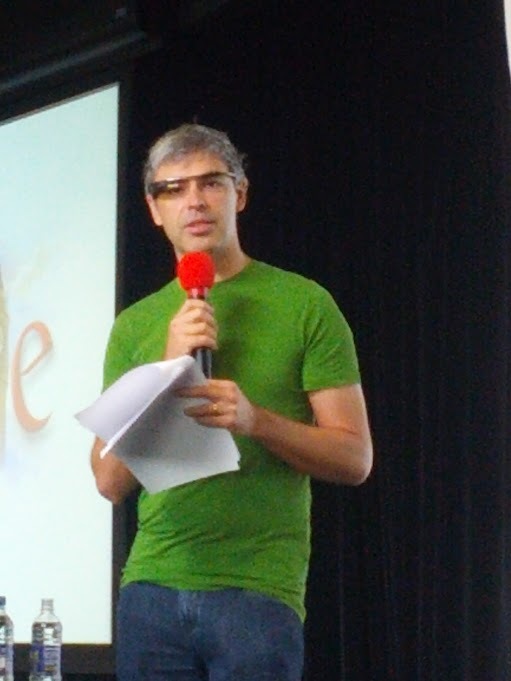 Larry Page Spotted Wearing Google Glasses In England! 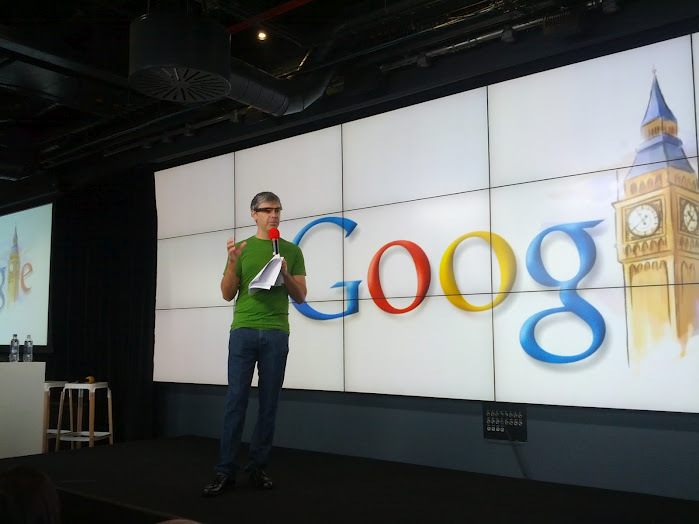 There hasn’t been a whole lot of news coming out of the Google Zeitgeist event taking place in a posh hotel on the outskirts of London this week, but Google’s making some other news in England: its CEO Larry Page has been spotted wearing Google Glasses. The pictures of Page wearing the super-funky augmented reality eyewear are possibly the first — although his Google co-founder Sergey Brin has also been seen wearing them in the wild. Today’s pictures come courtesy of a Google employee, who posted them — where else? — on Google +. 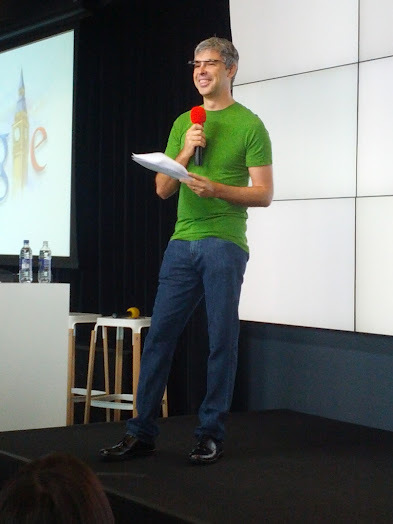 “My life is now complete – met Larry Page today! Thank you for visiting EMEA,” the employee wrote alongside his pictures. Google Glass has been one of the most talked-about new projects at Google for a long time. It’s one of the company’s first big forays into cutting-edge hardware. Other products it’s been reported to be working on are integrating more Google TV functions into set-top boxes and a home-entertainment system. With the company closing the acquisition of Motorola today, we are likely to get more visibility on what Google’s plans will be for developing more hardware. That, of course, is a strength at Motorola. Hardware is also something that Page himself highlighted recently in his CEO’s letter.